Sydney is one of the liveliest cities of the world. The contemporary lifestyles of the people living over there give the city a classy and modern impression. The beach where the Sun drops generously gives you the most relaxing experience. Natural beauty is plentiful and eye-catching and the man-made beauty added to it does not spoil it at all. In fact, man-made beauty enhances the charm of the place. A moderate weather makes it possible to visit Sydney throughout the year and all day long. It is among highly developed capitals of the world and on account of this highly urbanized and busy city. Bondi beach is the most breathtaking place that has the scenic feature in it. Apart from that, beaches like Bronte, Tamarama and Coogee are the most enchanting and soothing places. No one forgets to put the animal zoo in their bucket list as it has a vast diversity of animal life. Wildlife is most likely to attract your attention. The amazing taste of architecture is clearly reflected by the Sydney Opera House which is one of the most beautiful pieces of architectures. Most importantly, why to forget Sydney Harbor Bridge where beauty seems to get collected at a single point? Moreover, eating and drinking in luxurious and ritzy restaurants is like you are experiencing the most appealing thing in life. The places rich in heritage take you to the time of their origin. A lot of other magical beauties of the city enchant you and make an imprint on your mind. 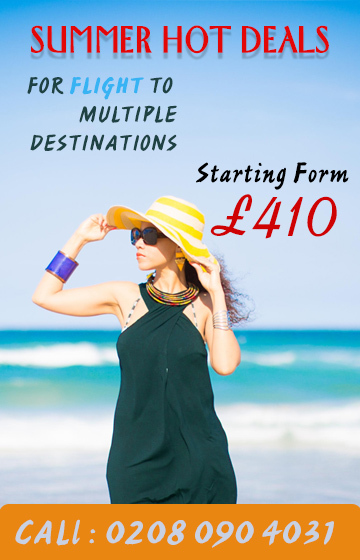 If that is all you want then Travelwideuk.co.uk is the one you will definitely choose. Make a grand tour with some top-rated airlines with a cost cut down to your affordability.